To get help with either replacing or repairing the valves in your plumbing, call Star Cities Plumbing & Heating for a fast response to your plumbing emergency. We can dispatch a plumber to help you resolve your plumbing issues 24 hours a day, seven days a week, and 365 days a year. We understand access to water is a crucial aspect of healthy living, and you may need an emergency plumber at any hour of the day or night. New York is, after all, the city that never sleeps, and your busy life cannot make exceptions for plumbing failures. Any one of these valves could break or leak, sometimes requiring immediate attention. While many people regularly replace their washing machine hoses to prevent a catastrophic flooding situation, people seldom think about replacing the valves. We can provide a New York City certified plumber to replace any of your old valves. 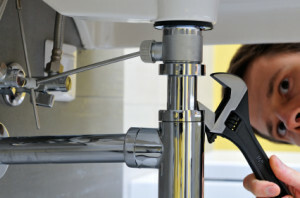 If you have noticed that your plumbing fixtures do not have the same water pressure they once did, or are sticky and hard to turn, you may need to schedule valve repair or valve replacement. While you may not need an emergency plumber in these situations, you can still count on us to fix your plumbing. We are here to provide you with a knowledgeable and friendly plumber to tackle any of your plumbing needs including valve repair and valve replacement. Star Cities Plumbing & Heating is committed to offering you honest and affordable services, as well as prompt response times. We strive for excellent service so you can keep up with your busy schedule without worrying about being unprepared for a plumbing disaster. If you are seeking an affordable and honest emergency plumber, Star Cities Plumbing & Heating is here to help. Call us at 800-547-1422 or contact us online at any time.